A sake-specialty izakaya, Ponshuya offers more than 200 kinds of sake along with well-constructed sake-friendly delicacies. You can choose from 30ml, 50ml and ichigo serving sizes, so it’s easy to put together your own sake tasting flights, either after inspecting the refrigerators or in consultation with the staff. Prices start at a very reasonable Y250-Y450 for a small-size glass. 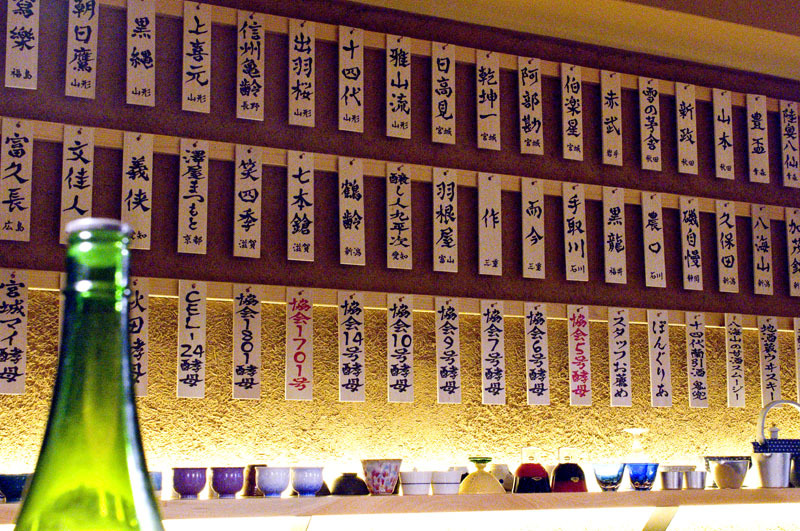 The food offerings are designed to enhance your sake-drinking experience, although they stand on their own merits as well. The starter platter with cheeses, smoked iburigakko pickles and smoked horsemeat is an inspired combination, well suited to just about any sake style. The smoked salmon plate is also a versatile sake companion, ample in size and livened up with a tasty balsamic dressing and Parmesan cheese. One standout dish here is the menchi-katsu (minced-pork fritters), made with sake lees and served with home-made pickles. It’s prepared with a crunchy shell and a meaty, succulent filling – definitely one of the best menchi-katsu we’ve had in Tokyo. Other highlights include sake-marinated tofu and avocado, satsuma-imo potato salad, crunchy iburigakko canapes, and a relatively mild lotus root stuffed with mustard. Golden Week is a collection of four national holidays in Japan that are closely grouped together in the space of seven days from late April to early May to create a holiday period. This year in 2019, we have a special Golden Week period due to the abdication of the Emperor on April 30th, and the ascension to the throne of the new Emperor on May 1st, which will be made a national holiday. Due to this change, April 30th and May 2nd will also become national holidays because according to the law, a day between two holidays also becomes a holiday. This creates an unprecedented 10-day consecutive holiday period in Japan from Saturday, April 27th to Monday, May 6th. Golden Week and this period of time in Japan is a celebration of spring with a lot of cultural festivals and historical events taking place all over the country. The first national holiday of Golden Week is Showa no Hi (昭和の日) or Showa Day, which is the birthday of the former Showa Emperor. It is a day to honour the birthday of the late emperor, as well as to remember the hard work and effort of the Japanese people in rebuilding their country during the turbulent Showa Era (1926 – 1989). The second national holiday of Golden Week is Kenpou Kinenbi (憲法記念日) or Constitution Memorial Day. It is a day to commemorate the new Japanese constitution, which was put into effect on May 3, 1947. It is not uncommon to come upon small plots cultivating tea when driving (or riding a bike, in my case) through rural communities in Japan. Don’t know your gizzards from your tail? You’ve come to the right place. Whether it’s a full-blown feast or an occasional snack between rounds of drinks, it’s hard to overstate the simple elegance of yakitori. Chicken. On a stick. Cooked over charcoal. The only real variation comes in the variety of cuts. There’s usually some crossover between yakitori, and yakiton, a similar style of cooking made using pork, so the two are often used interchangeably in English. There’s normally also kushiage (battered and deep-fried meat or veg skewers) on offer too. Today though, we’re keeping things simple by stickin’ with chicken (that’s a rhyme and pun—you’re very welcome). 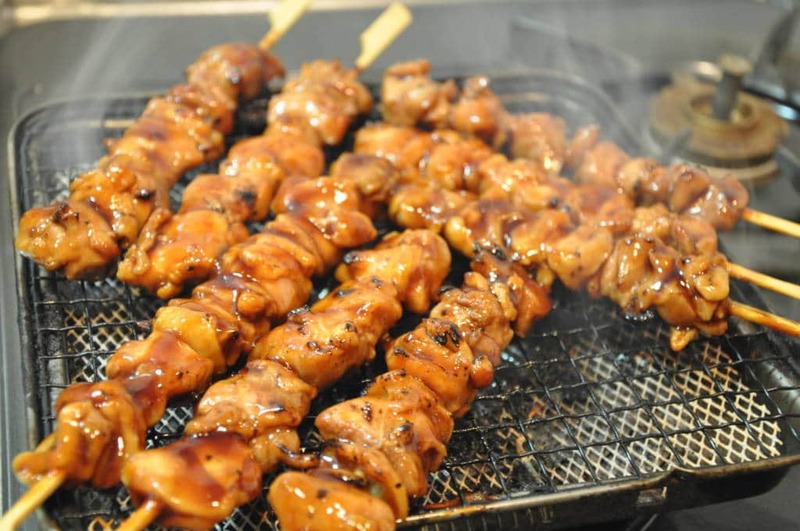 The post Heaven on a Stick: The What and Where of Yakitori appeared first on Tokyo Cheapo. From fine dining to mom-and-pop diners, Japan’s unique food culture represents an eater’s paradise renowned for its transcendental experiences. Its delicious terrain has been explored by culinary icons like Anthony Bourdain and mined by gourmet publications like the Michelin Guide. Occasionally though, I’m frustrated by its big cities with eateries secreted away in 10-storey towers. I tire of wrestling with Google Maps. I’ve circled madly and emerged from mazes of subway lines, only to be greeted with a cryptic, curt: “Head north.” Thanks Google, I don’t have a natural sense of direction. Luckily, Japan has welcoming, accessible food hubs aplenty, all conveniently embedded in its landscape. Glorious gateways into its complex cuisine, elevated into tourist attractions in their own right. When I wasn’t hunting down dives in winding alleys, these were invaluable for initiating me into the sometimes-scary but wondrous world of Japanese food. 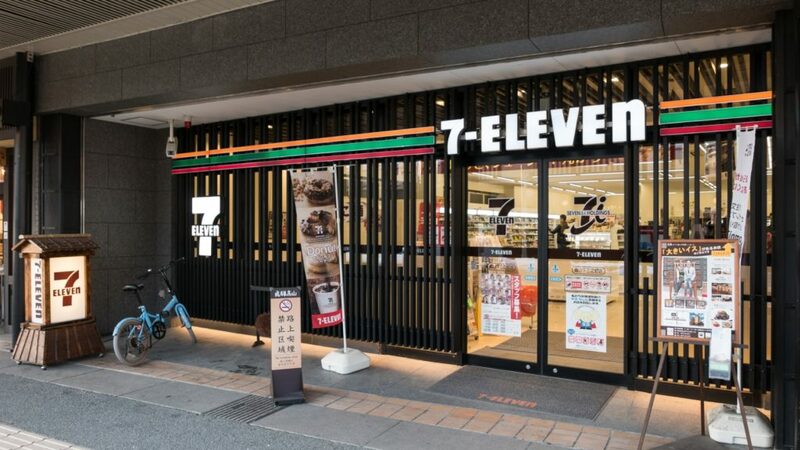 A 7-Eleven convenience store in Takayama, Japan. Centuries ago, ruling warlords Oda Nobunaga, Toyotomi Hideyoshi and Tokugawa Ieyasu, colloquially known today as the Three Unifiers of Japan, extended their empires across the country. How would these ancient leaders view modern Japan, seemingly conquered by the “Three Kings of Convenience”: 7-Eleven, Family Mart and Lawson — the chains that comprise approximately 80% of Japan’s over 56,400 convenience stores (according to a 2017 Statistica report). 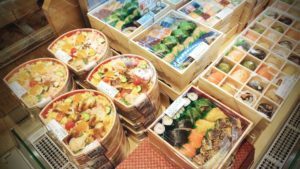 … a cheap, low-risk entry to a sparkling universe of Japanese meals and snacks.